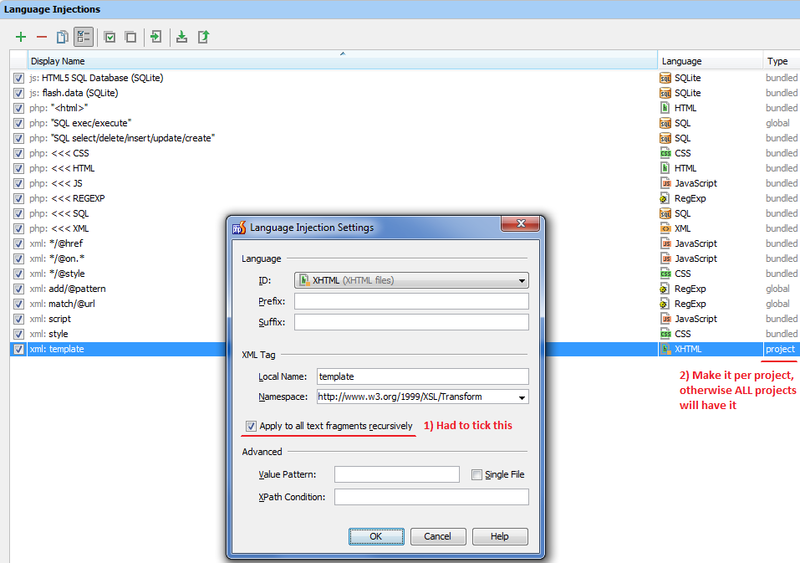 I'm having difficulty getting XHTML to auto complete in my XSLT documents. I've looked through settings and googled to exhaustion. Why is it not working? I've attached a screenshot of an example document that fails to work. Could you please tell/describe what you actually expecting to see / what should happen instead? It just dawned on me after reading your response. Starting with a < reflects my xmlns declarations. Also, I realized the behavior I was experiencing in an HTML document was the result of Live Templates (Zen HTML) and the reason it was not occurring with the HTML I was typing in my XSL document was because it was only Applicable to HTML documents. I added the addition of XML and I get the true result I was expecting from my initial post (a into <a href=""></a>).. 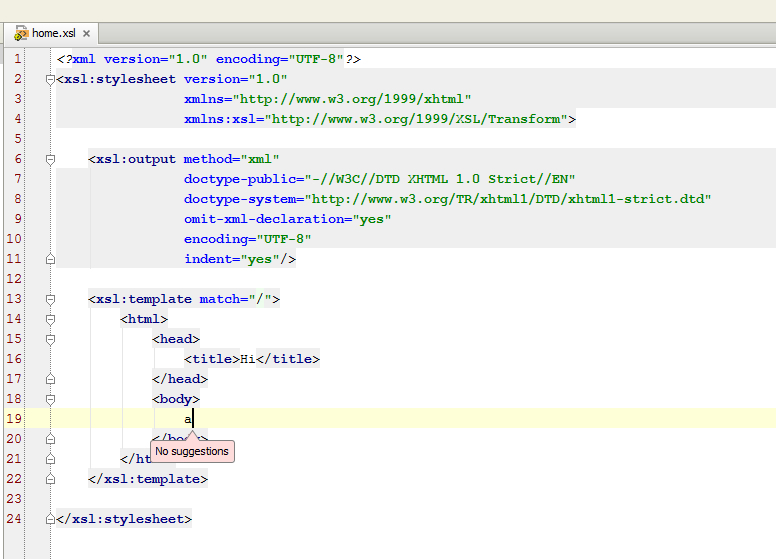 So, is it possible to change all of the HTML live templates to include XSL documents at once or must I click each individual one and change the applicable declaration to include XSL documents? From within IDE -- no (AFAIK), it has to be done one by one. Make changes to all other entries similarly to how it's done in that already altered one ("find+replace all" method may work just fine). 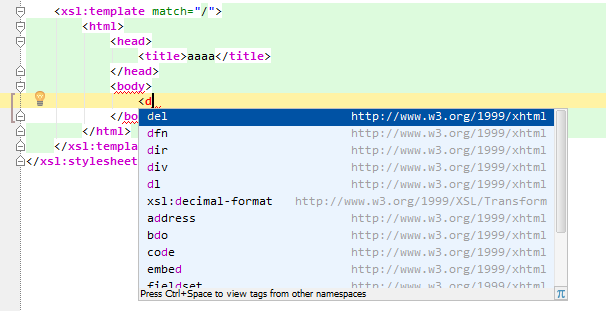 I'm just not sure if this is the right way to do -- maybe HTML/XHTML context can be injected (Language Injection functionality) into body of <xsl:template match="/"> tag. Once again -- not sure if it's correct / acceptable way of doing this etc -- I'm not using XSL technology myself, so not-an-expert-at-all here.